The 10 Best Karaoke Bars in Florida! You might not be the next big pop star, but that doesn’t mean your dreams of rocking your own show can’t come true. 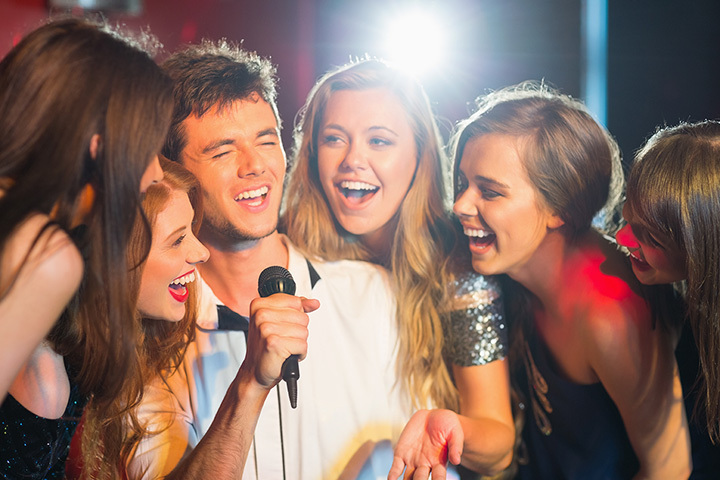 Florida’s got some of the best karaoke bars in the country, giving you the chance to take center stage and share your singing talents. Channel your inner music artist at these 10 best karaoke bars in Florida. If you thought karaoke was just for dive bars, Phuse will make you change your mind. This elegant rooftop karaoke bar and restaurant combines fine food with the best tunes on the beach for an epic experience you won’t soon forget. Not to mention you get some of the best views in the city. Tucked inside Universal Studios in Orlando lies one of the best karaoke bars in the state. This is your chance to sing with a live band and backup singers to show off those singing chops you always knew you had. This bar fills up fast, but it’s well worth the wait. If you’re not quite ready to share your vocals with the world, book a private singing room at Sing Sing Karaoke. As Miami’s first private karaoke lounge, you and your friends can sing the day and night away without the critics in the audience. Their song list is continually updated to bring you the most popular hits of here and now. This one isn’t an exclusive karaoke bar, per se, but fans can’t deny the karaoke offerings here are hot. Waterfront views, exceptional food, and nightly karaoke make this place a must-do if you’re in the city. This stylish little restaurant and lounge features karaoke (Wednesday and Friday only), a full bar, and a menu full of better than bar food. Their food and drink specials can’t be beat as far as price is concerned. This fun karaoke lounge gives you and your friends your own private room, along with drinks and appetizers for one low price. They’re open every day of the week to ensure your get your stardom fix whenever the mood strikes. Offering over 34,000 songs to choose from, you can sing until your heart’s content at PlugIN. These private karaoke rooms mean you don’t have to wait on a long list of performers ahead of you. This gives you more singing time and an enjoyable experience with your group. Each room is fully decked out to make every singer feel like a VIP. They’ve got karaoke every night, making them one of the most sought after spots in the city for a singing good time. They’re super low-priced drink specials are ideal for budget-conscious party-goers. It’s a family-friendly atmosphere, but visitors under 21 must come with a parent or guardian. Dedicated to all things karaoke, you haven’t seen a karaoke lounge quite like this one. With international flair in every corner, they’ve transformed an average karaoke bar into a magical singing palace. Each private room bears a different theme along with high-tech equipment, making you feel like a true rock star. With two locations in Tampa, Pete’s Place is the ultimate hangout. They have the best drink specials in the city, along with karaoke every Friday, Saturday, and Sunday night. While you’re waiting for your turn at the mic, you can enjoy a game of pool or catch your favorite team on the big screen.